Since 2016, we have worked with the EBRDA’s Office to create a crisis communication plan and consult on their social media usage. We helped to create a strategy, identifying the proper channels, general theme and frequency. In addition, we serve as aides and supports for media advisories, reports and press conferences. Since 2016, we have worked with the Downtown Cortana Kiwanis Club in their premier holiday event, the Baton Rouge Christmas Parade. In our first year, we created media that went viral with over 100 shares and thousands of views. We help them with video, photography and social media management. A sequence of informational boards designed to gradually communicate a branded message regarding a deadline extension to commissioned Christmas Orders. Series of Instagram Story Panels designed as a date-specific, 2-day campaign to promote an upcoming event for Anchor Chapel’s Photo Group. Since 2017, our team hurriedly worked on a rebranding campaign for Cristo Rey. We were tasked with sharpening their brand in anticipation of their return to their home location. Our team began by tweaking their existing logo and created a visual branding guide. Because of factors such as the school is a part of a national network; our expedient timeline; and budget, we were limited to the changes we could make. After conversations, we made subtle changes that made a big difference. This rebranding included stationery, vehicle wraps, convertible signage, media and marketing strategy and brochures. 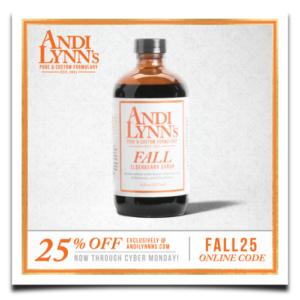 Since 2016, we have worked with Andi Lynn’s Pure & Custom Formulary, a wellness brand specializing in elderberry-based syrups, supplemental drops, teas, and more. The client began this endeavor out of her kitchen and has developed this into an evolving, well-run operation. We worked on the rebrand, ads and social media awareness.